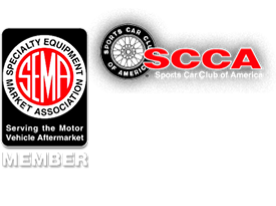 Performance Electronics’ PE3 fuel injection and ignition engine control unit (ECU), has been adopted by the Formula 2000 (F2000) SCCA Pro Racing series. The F2000 Championship Series is a North American-based open wheel road racing series. Most F2000 series cars are powered by a 2.0L Ford Zetec engine capable of 155 horsepower and speeds up to 145 mph. The series boasts distinguished alumni including Dan Weldon, Paul Tracy and Sam Hornish Jr.
Series. This type of standardization helps to keep costs in check. Teams are encouraged to try and build a better race car, but can save their design enhancement dollars for elsewhere. Performance Electronics is now the vendor of choice for a few different racing series. Brian Lewis, co-founder of Performance Electronics, is excited about this new opportunity for his company. “The PE3 series of high performance, budget-minded control units is a particularly good fit for series racing. Our ability to support and customize control units means Performance Electronics is well suited to supply to both sanctioning bodies and individuals alike. We’re anxious to complete the roll out and get all F2000 Championship Series cars running the PE3.” The PE3 which is proudly designed, manufactured and supported in the USA, is replacing the Pectel T2 ECU, which is no longer supported by its United Kingdom based manufacturer.